In the United States, midterm elections are a round of general elections held in the middle of the current president’s term. In 2018, the midterm elections will be held on Tuesday, November 6, when voters will decide on seats in the Senate and House of Representatives, as well as state and local bodies. It’s important to vote in all elections, but midterms can be especially crucial, since your vote has the power to either cement the current legislative majority or overturn it. Register early, cast your ballot, and make sure your voice gets heard. Make sure you’re eligible to vote. Although the basic voter eligibility requirements are about the same throughout the country, some states have slight differences in areas such as whether convicted felons or mentally incapacitated people can vote. Look up your state’s requirements online to make sure you meet them. Register to vote in the state where you live. 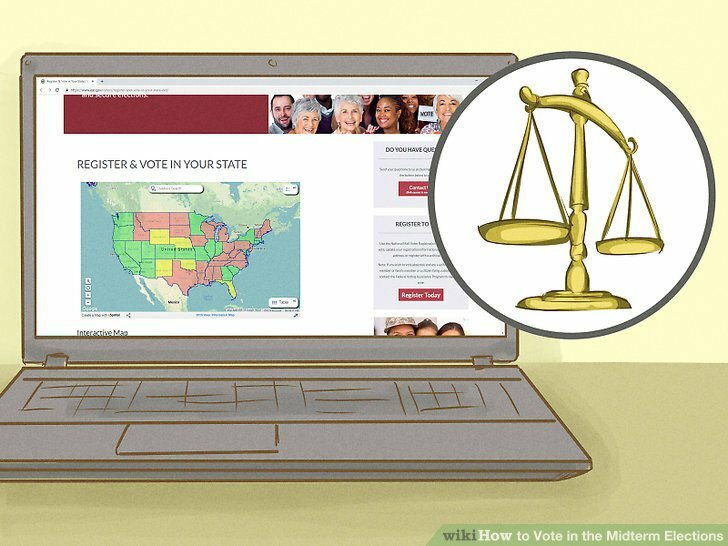 Every state chooses their own voting requirements, paperwork, and procedure to register new voters. To vote in your state, you’ll need to provide a proof of residency, like a lease or utility bill. You’re only allowed to register in one state at a time. You can switch what state you vote in at any time, but you can’t vote in two at once. 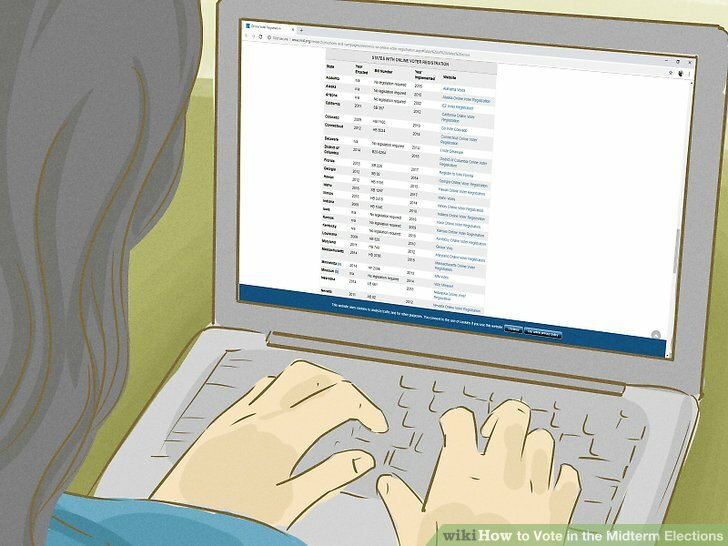 In midterm elections, you’ll likely be voting for local officials as well as state and national representatives, so make sure you’re registered to vote in the correct state and county. 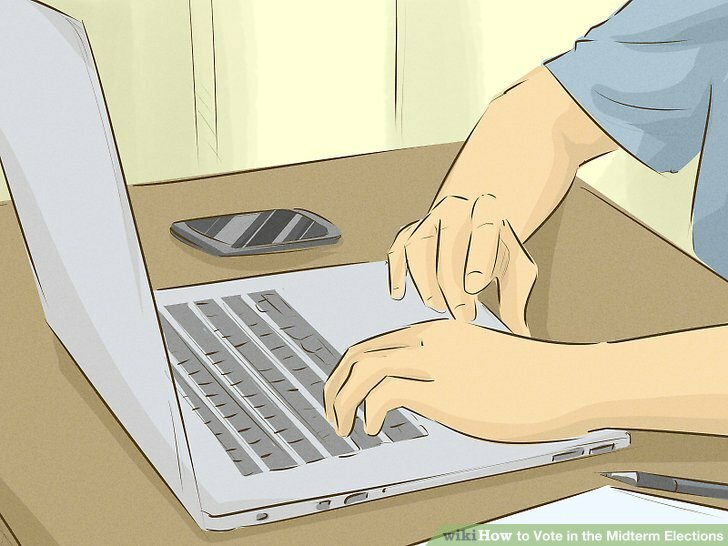 Register to vote online for the most convenient option. Currently 37 states and Washington, D.C., allow voters to register online. 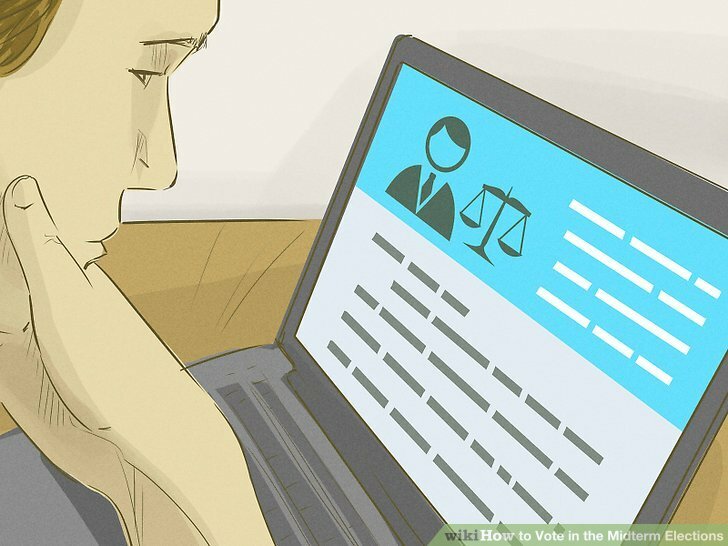 If your state is one of them, you’ll fill out the online form with information like your full name, address, and date of birth. 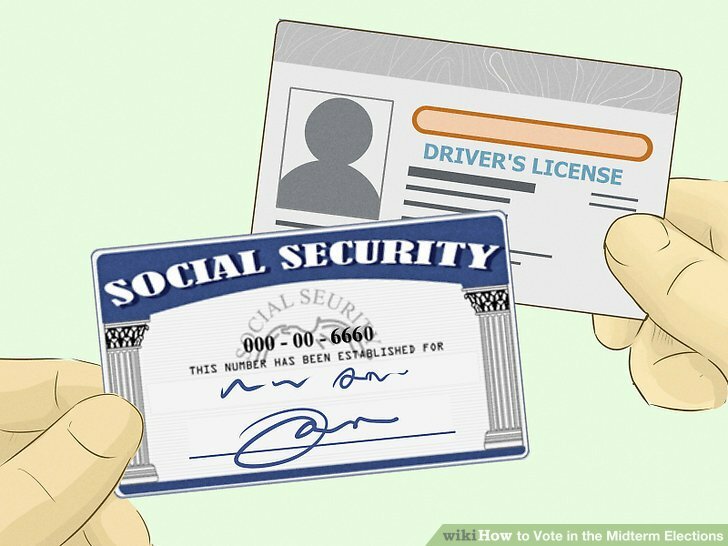 To verify your identity, you’ll also need to enter your driver’s license or state ID card number, and/or the last 4 digits of your Social Security number. To see whether your state offers online registration, go to http://www.ncsl.org/research/electio...states%20w/ovr. You’ll also find links to each state’s registration form. Register in-person to make sure you fill out your form correctly. You can register to vote in person at local government facilities like the DMV or election offices. 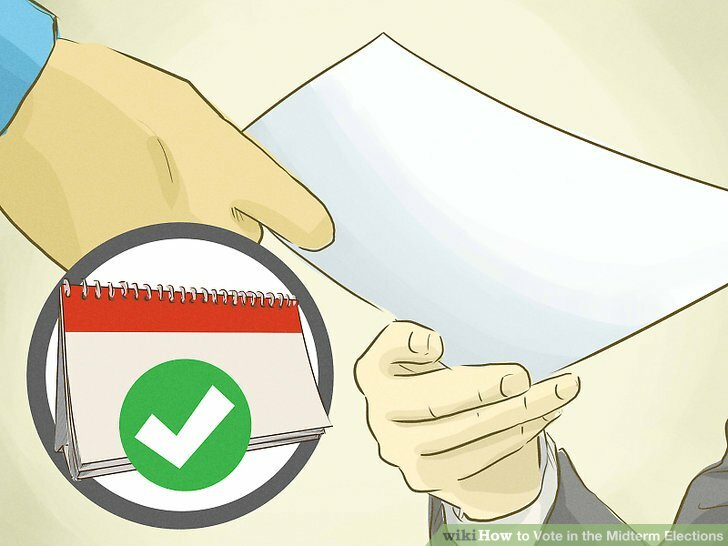 You’ll bring in at least 2 documents to verify your identity and fill out a registration form in the office, then turn it in right when you’re done. Registering in-person is quick and easy, and you’ll be able to ask the staff on-hand if you have any questions or need help filling out your form. To find a local facility where you can register, call your DMV, local election office, military recruiting center, political party branch, or voting assistance center. Use mail-in registration if your state doesn’t offer online registration. 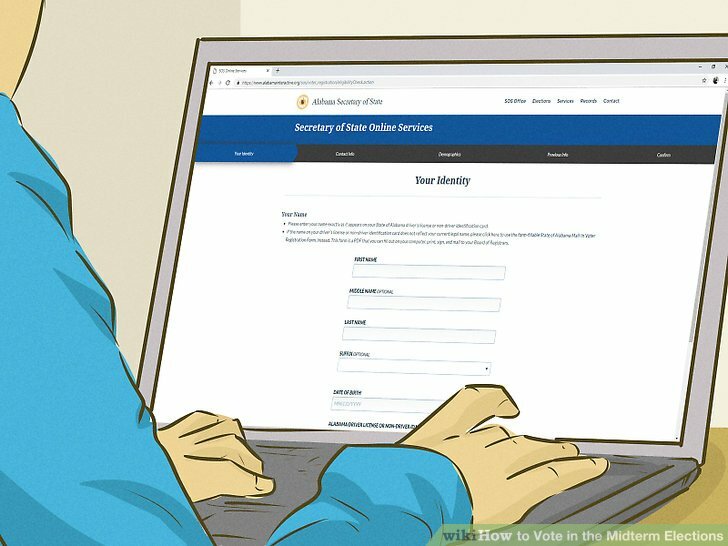 If you feel more comfortable using mail-in registration than online, download the National Mail Voter Registration form online. Print it and fill it out carefully according to the instructions. Attach a copy of your proof of identification, such as a passport or driver’s license, and mail it in if required. Then, send the form to the address listed for your state. Download the PDF form, available in 9 different languages, here: https://www.eac.gov/voters/national-...stration-form/. Get your registration in before your state’s deadline to be able to vote. If you want to vote in the midterm elections, it’s crucial that you turn in your registration before your state’s deadline. This will be posted on your state’s election website, and you can also find it by searching online. Deadlines vary by state, but most are either 25 or 15 days before Election Day. Some states have different registration deadlines for online, mail-in, and in-person registration. You may be able to register in-person closer to Election Day, but confirm this beforehand to make sure. Once you’ve successfully registered, you’ll receive your voter’s registration by mail a few weeks later. Check and update your information online. If you’re already registered to vote in your state, you still might want to check on your information to make sure it’s all correct. This is especially important because some states purge their registration lists regularly, removing any inactive voters. You can make sure you aren’t removed by mistake by doing a quick check of your status. You can check your voter registration here: https://www.nass.org/can-i-vote. Click “Voter Registration,” enter your state, and follow the directions to see your information. You can contact your state or local election office to make changes or ask any questions. Find a local election office here: https://www.usa.gov/election-office. Get an absentee ballot if you want to skip the polling place. An absentee ballot is a great choice if you want to get your voting done early, or if you won’t be in your polling precinct on Election Day to vote in person. To register for an absentee or mail-in ballot, go to your state’s election website or office. All states allow absentee ballots, but 20 states currently require an excuse to request one. To see your state’s policy, go to http://www.ncsl.org/research/electio...ly-voting.aspx. To get an absentee ballot for your state, go to https://www.vote.org/absentee-ballot/. 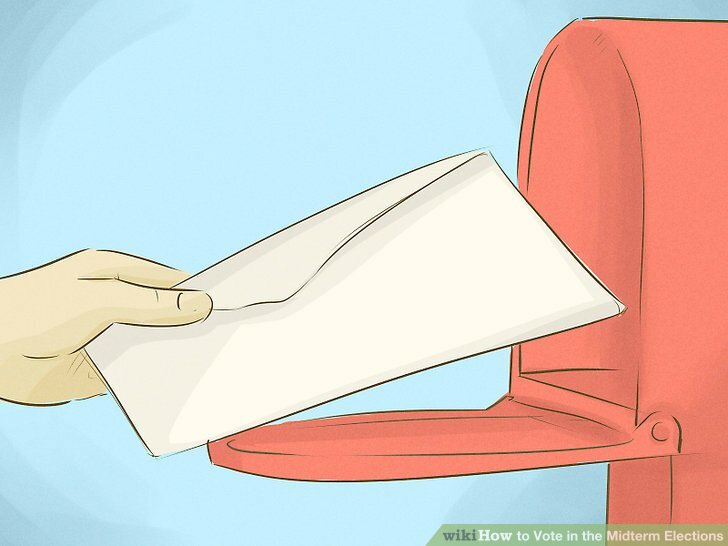 In some states, you can bring your absentee ballot to a polling place on Election Day to turn it in. 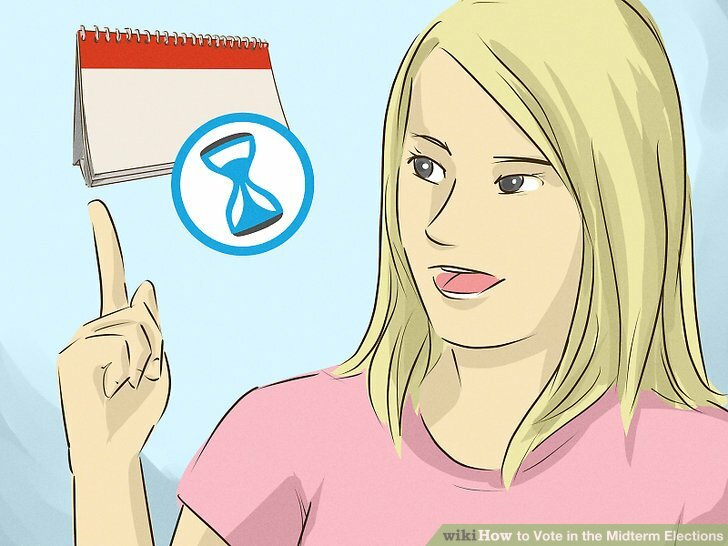 Register for permanent absentee voting to save time in future elections. 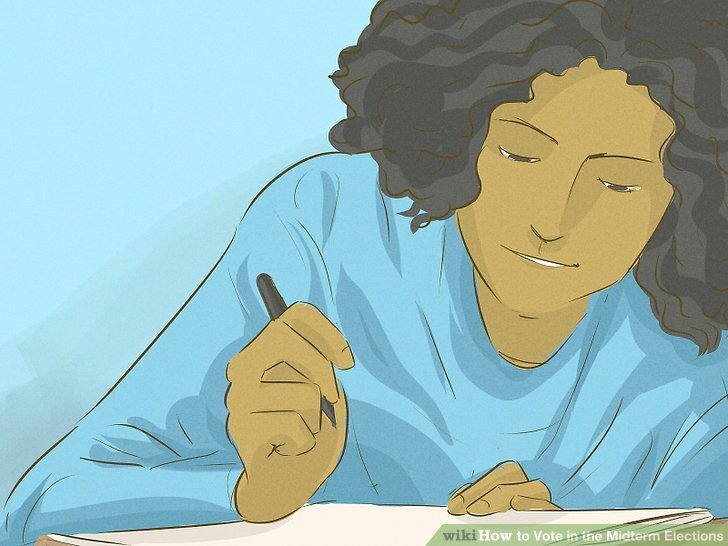 Some states allow you to join a permanent absentee voting list. 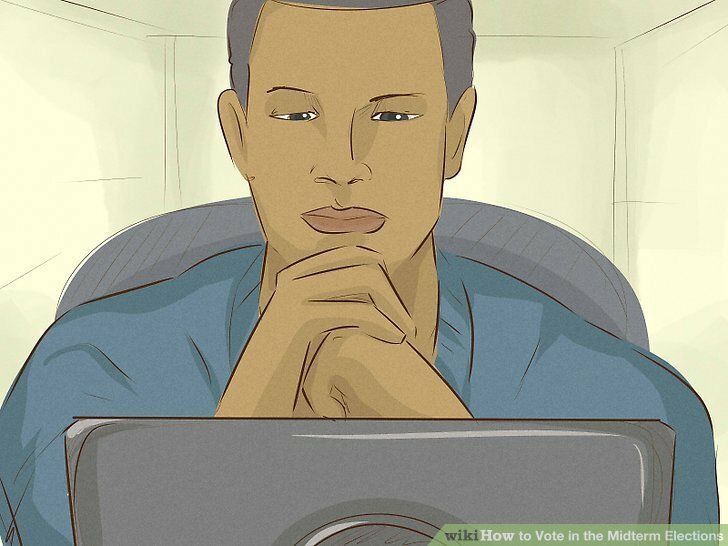 You’ll automatically receive an absentee ballot for every election and won’t need to re-register, and you can opt out at any time. Vote early if your state allows it. If your state permits early voting, you’ll be able to visit a local election office or voting location and cast a vote in-person during a set period before the election. This is a great option if you want to vote in-person but don’t have time to do it on Election Day. Currently, 37 states and Washington, D.C., allow early voting. To see if your state is one of them, go to http://www.ncsl.org/research/electio...aspx#permanent. The early voting window varies by state, and can be as early as 45 days before Election Day or as late as the Friday right before. It typically ends a few days before Election Day. You won’t need to notify the state that you’re voting early, or do any extra registration beyond what’s already required. Look online to see what polling place to go to. Your name is only on the roster at your assigned polling place, so it’s important that you go there to vote. Your polling place is assigned based on the home address you give, but it might have changed from the last election, even if you haven’t moved. Check online to find your polling place, its open hours, and other information. To find your polling location, go to https://www.nass.org/can-i-vote/find-your-polling-place and enter in your state. If you vote at another polling place, you’ll typically need to cast a provisional ballot, although rules vary by state. Check beforehand to see what you need to bring to the voting booth. Many states allow you to simply state your name and address at the polling place, then cast your vote. Others require you to show proof of identity, such as a government or institution-issued photo ID, although some allow a non-photo ID. 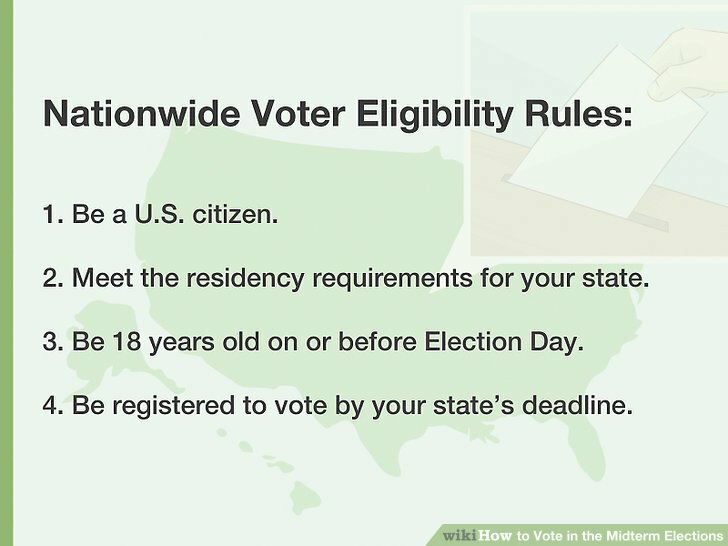 To see your state’s requirements, look online on your state’s election website. 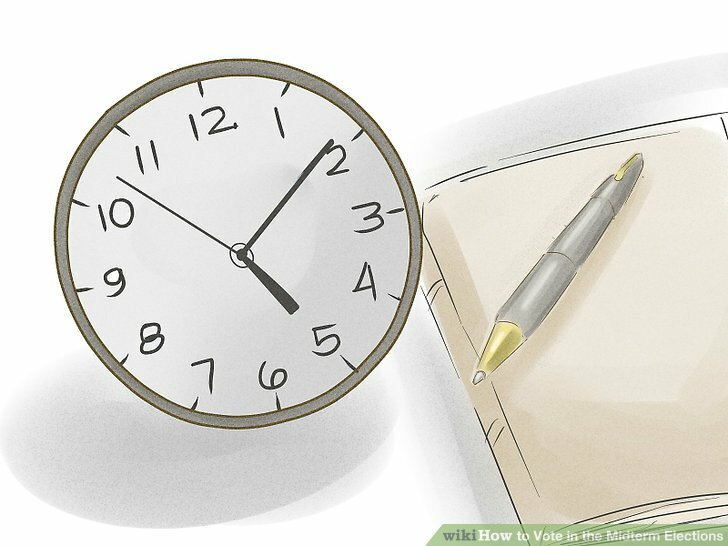 See what time the polls open in your state and go at a convenient time for you. Polling places in most states open by 6-7am, and won’t close until 7-8pm. Check the hours for your polling place in particular and plan ahead to decide what time to go. Many polling places will get crowded early in the morning, around noon, and from about 5 pm to close. If you decide to go during these times, you may have to wait in a line. If you’re in line when the polling place closes, you’ll still be able to cast your ballot in most states. Make sure to fill in your ballot carefully and accurately. Take your time when you get into the booth. 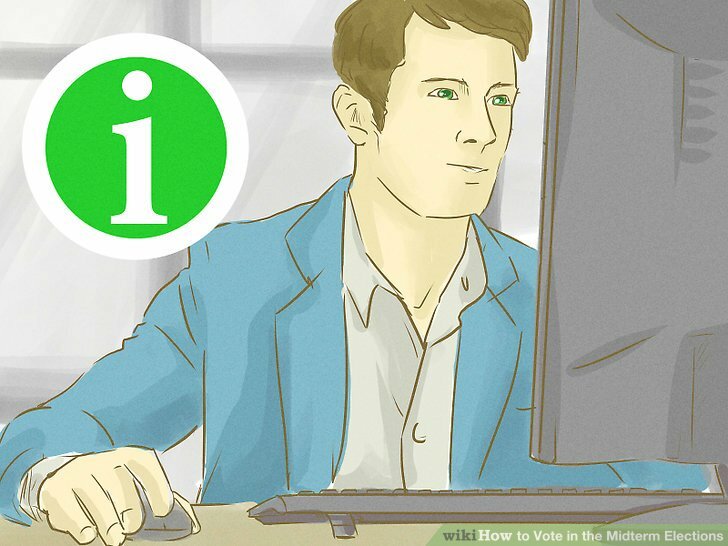 Whether you’re voting electronically or with paper ballots, make sure to follow all instructions to the best of your ability. If you have any questions, ask the poll workers for help. In some states, you won’t be allowed to bring anything into the booth with you other than a sample ballot. You should go into the booth by yourself, unless you have a young child with you. Stay quiet as you’re voting and don’t discuss your votes with the poll workers or any fellow voters. Look up the candidates and research their views online. Choosing who to vote for is a major decision, and one that impacts the policies that shape the country. Don’t make it lightly! 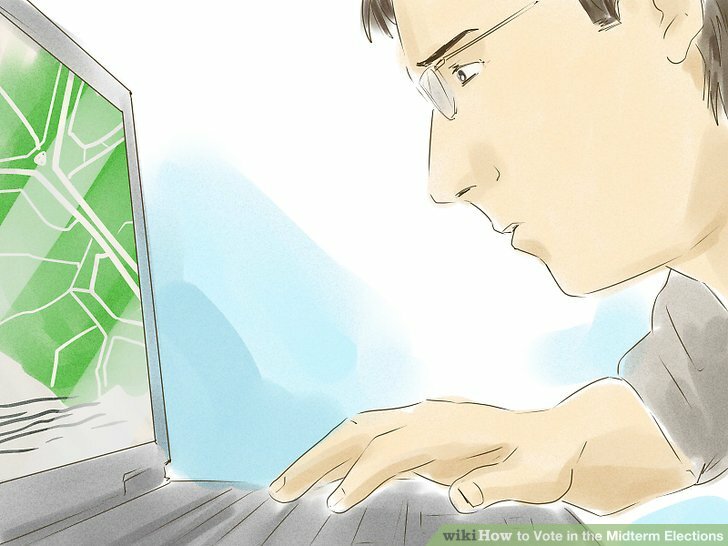 Do your own research by looking up each candidate up for election and digging into their views and proposals. Ask yourself whose ideas you most agree with, and who you think would be the best choice for the position. Don’t just vote for a candidate because a family member, friend, or significant other supports them. Try to what other people think and make the choice for yourself. Do research on the candidates’ websites and look for unbiased reviews of candidates from neutral sources, like Vote 411 or Vote Smart. 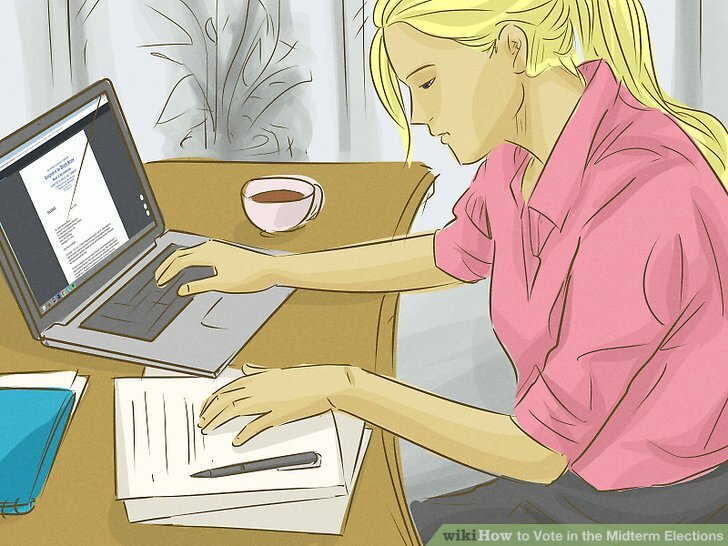 Doing proper research is especially important in a midterm election. You have the ability to swing power towards or away from the party currently in power, which has a huge impact on the laws that the government can pass. Review candidates’ track records if they’ve held office before. If a candidate has held public office before, or if they’re running as an incumbent (looking to retain the seat they currently hold), all of their voting history is open to the public. Look it up online to see how they’ve used their voice in the past, and how their decisions compare to what they say on the campaign trail. Go to https://www.congress.gov/ to look at the voting history of a candidate who’s served as a U.S. Representative or Senator. Go to your state legislature’s website to look at the voting history of a candidate who’s served in a state government. Watch debates to compare the candidates’ ideas side-by-side. 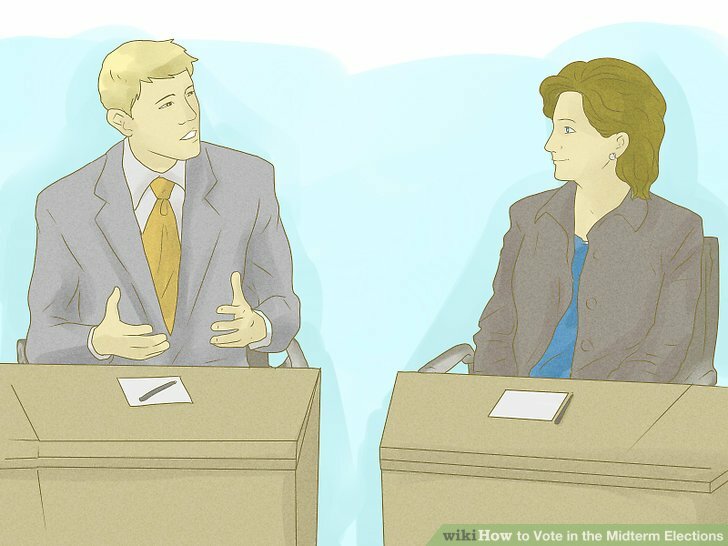 Most major races will hold debates amongst the top candidates, often broadcast live on local stations. Tune in to these debates to learn more about the candidates and issues, making sure to read between the lines of persuasive rhetoric. Try to listen to what the candidates are really saying, beneath the attractive language they might be using. Look over and fill out your sample ballot, if your state sends one. Sample ballots might be sent out by your state or territory, or available online. They’ll look exactly like the real ballot you’ll see when you vote, and show you all of the candidates you’ll be able to vote for, as well as the state and local propositions or measures being proposed. Fill out the sample ballot while you’re doing your research to get familiar with the process and help you decide which candidates and proposals you want. 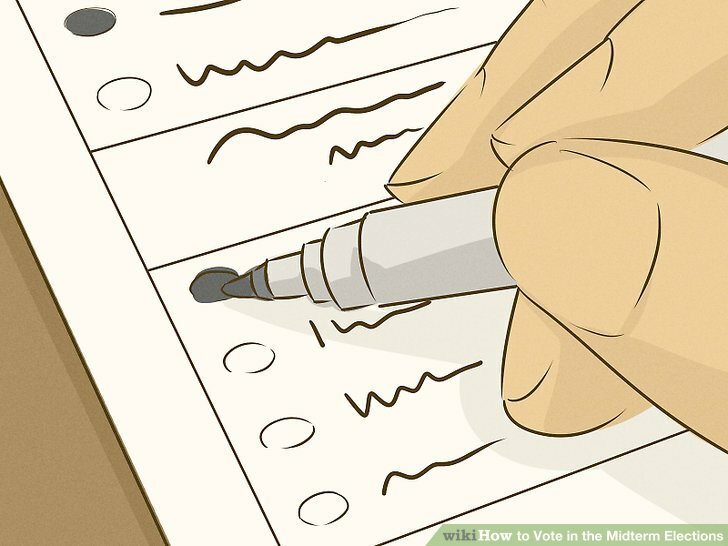 Most states allow you to bring a sample ballot directly into the voting booth with you, which can speed up the voting process and ensure that you’re voting for the people and measures you want. Don’t forget to wear your “I Voted” sticker! 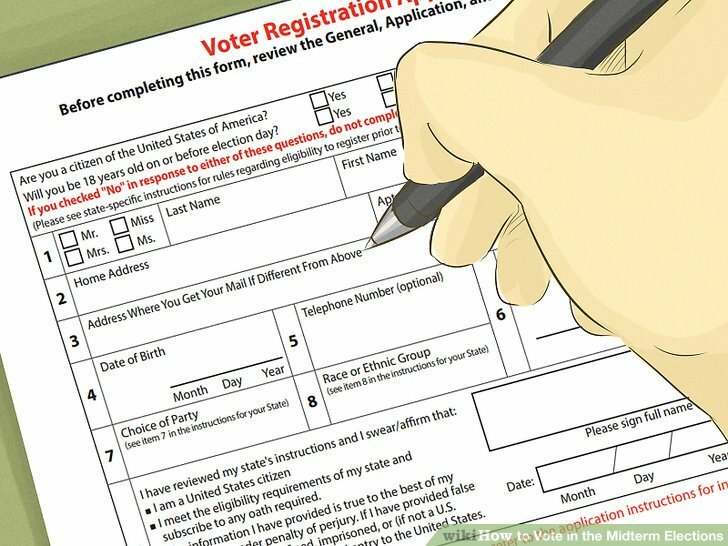 You typically only need to register with a political party to vote in primaries, not in general elections like the midterms. Salman Khan A Biased Or An Unbiased Host? Vote! Vote! Vote!